Mom Among Chaos received tickets to facilitate this review. All opinions are our own. 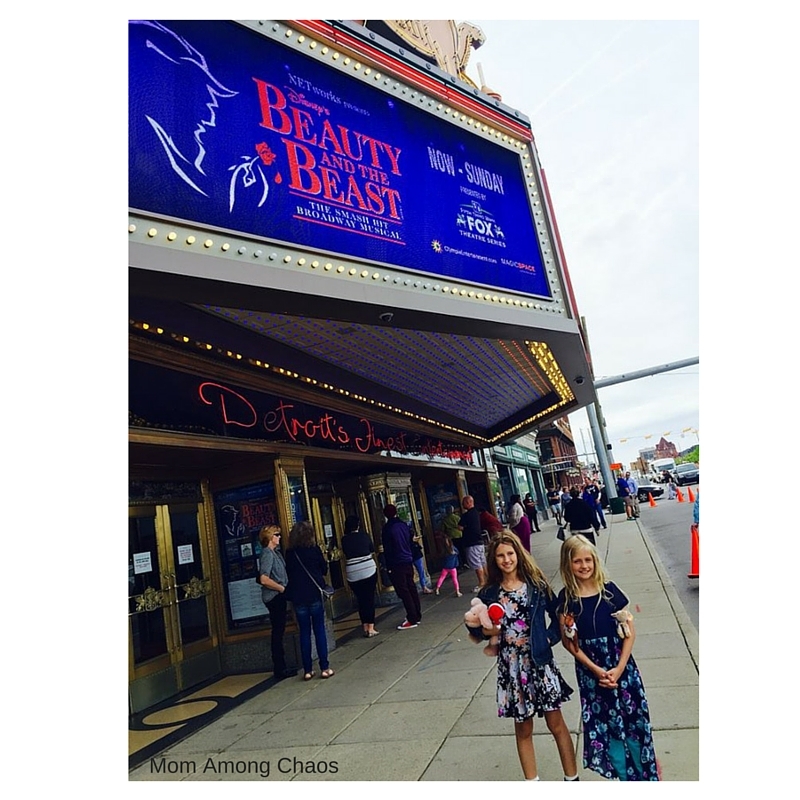 Last night my co-blogger, Stephanie, and I took our 9 year old daughters to see the Broadway version of Beauty and the Beast at the Fox Theater in Detroit, Michigan. We were in for a treat with a fantastic cast and beautiful scenery! Disney’s Beauty and the Beast is the classic story of Belle, a young woman in a provincial town, and the Beast, who is really a young prince trapped in a spell placed by an enchantress. If the Beast can learn to love and be loved, the curse will end, and he will be transformed to his former self. But time is running out. If the Beast does not learn his lesson soon, he and his household will be doomed for all eternity. 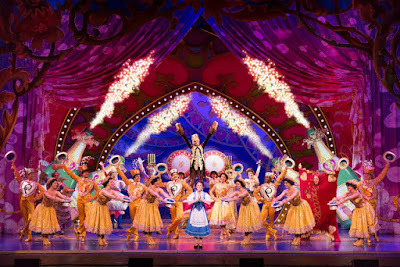 Based on the 1991 Academy Award®-winning animated feature film and celebrating 20 years since its Broadway premiere in 1994, Disney’s Beauty and the Beast has become an international sensation that has been seen by over 35 million people worldwide in 22 countries, and has been translated into 9 different languages. This production launched in February 2010 and has been seen by 3 million people while playing over 1,000 performances in all 50 United States and 8 Canadian Provinces. Currently, there are four other productions playing around the world including Paris, tours in Japan and Germany, and a new international tour that currently will visit over 12 countries in two years. The story is adapted pretty close to the original version, but with a bit of adult humor thrown in. Since this is the Broadway version, it lasts for over two hours. I don't recommend this play for kids under the age of eight. It's a longer play and contains a little bit of adult content. I would still rate it PG, but some adults may not find it appropriate for younger children or those children that have trouble sitting for that long. 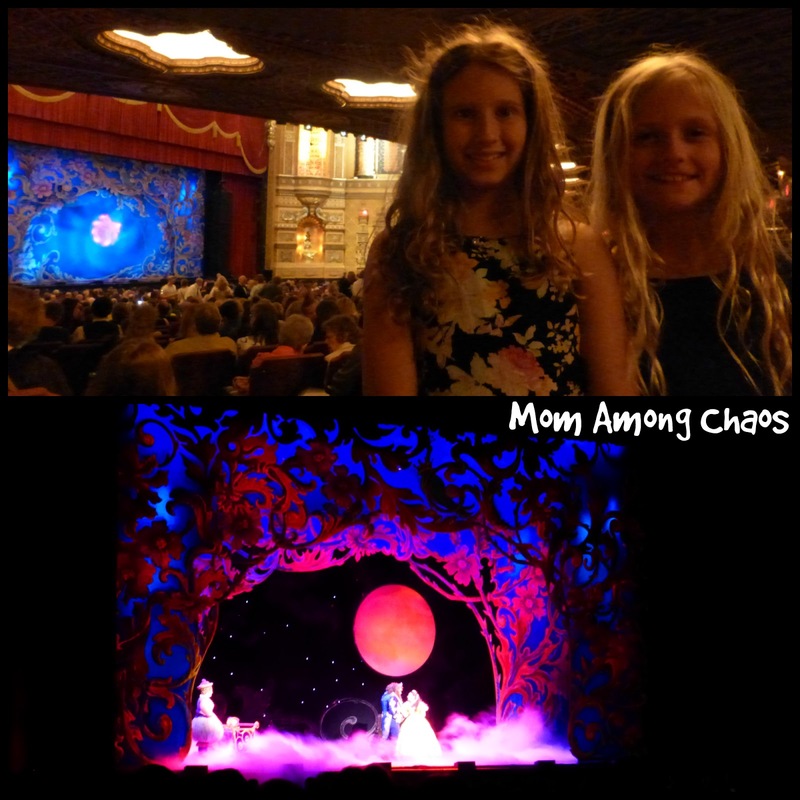 My daughter Rylie and I loved the familiar songs and lines of dialogue. The classic humorous lines from the Disney movie had the whole audience laughing. Mrs. Potts had an excellent voice. I also enjoyed the dancing by the ensemble. I was really impressed with all the scene changes and special effects, like the fog and lightning. 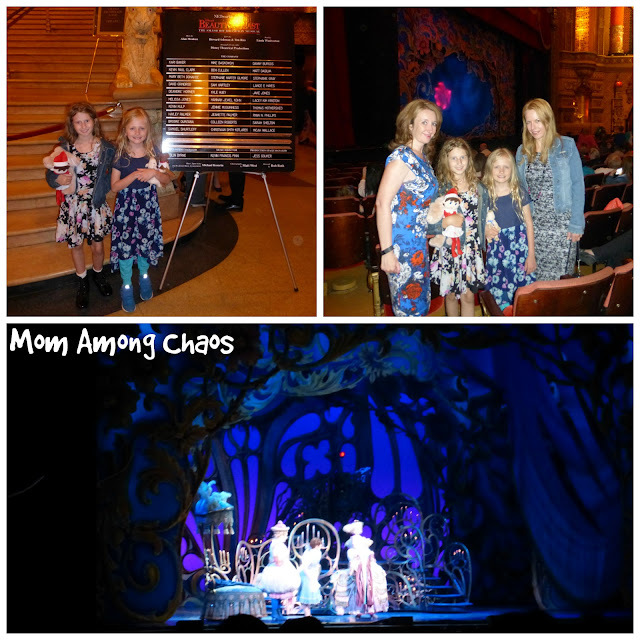 I would definitely go see this show again the next time it comes to Detroit. You still have time to get your tickets for the Sunday performances! There are shows at 1 pm & 6:30 pm. Disney’s Beauty and the Beast, the award-winning worldwide smash hit Broadway musical, is coming to Detroit as part of the Fifth Third Bank Fox Theatre Series. Produced by NETworks Presentations, this elaborate theatrical production will come to life on stage at the Fox Theatre from Friday, May 20 to Sunday, May 22. Tickets (starting at $37.50) are on sale now and can be purchased at OlympiaEntertainment.com, the Fox Theatre and Joe Louis Arena box offices, Hockeytown Authentics in Troy (without service charge) at all Ticketmaster locations and Ticketmaster.com. To charge tickets by phone, call (800) 745-3000. Fifth Third Bank Fox Theatre season subscription packages up to 20% and discounts for groups are on sale now, for details call (313) 471-3099. For additional information, call (313) 471-6611.